Ideal for any kitchen or restroom. 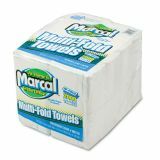 Marcal Small Steps 100% Premium Recycled Multi-fold Paper Towels, 9 3/8 x 9 1/2, 1-Ply, White, 250 Sheets/Pack, 8 Packs/Carton - Marcal multi-fold white towels are perfect for office or home use. 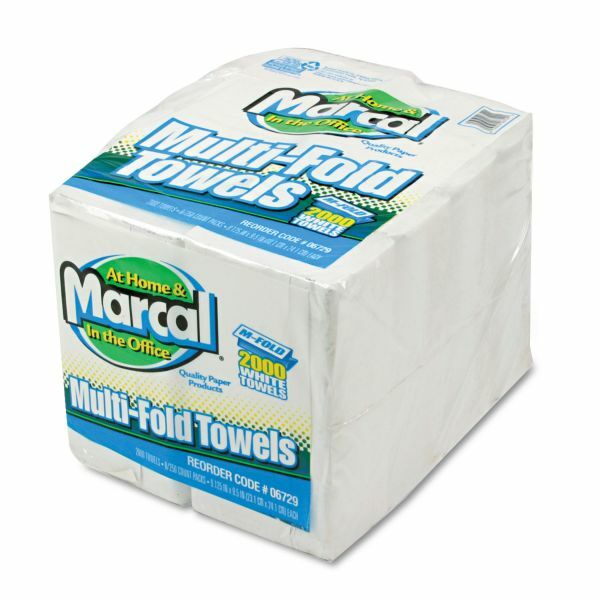 Each one-ply towel is absorbent and strong when wet, making hand drying quick and easy. Towels fit all standard cabinets. Made from 100 percent recycled fiber with 60 percent post-consumer material.